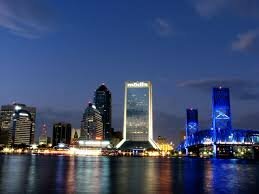 The median sales price for homes in Jacksonville from Feb 24 to Mar 23 was $175,928 based on 1,524 home sales. The average price per square foot for Jacksonville was $108, an increase of 9% compared to the same period last year. The median rent per month for apartments in Jacksonville for Jul 24 to Aug 24 was $1,250. These exciting market trends will likely continue through 2018 and into 2019 as more outside money comes into the market and keeps the growth churning upwards in a strong uptrend. Selling your Jacksonville home for cash is a decision that many homeowners will make this year in order to cash out on the amazing market appreciation that we’ve been seeing throughout all major neighborhoods and cities these past multiple quarters. Jacksonville is poised to be one of the biggest real estate markets in 2018 with rapid growth expected to hit the sector as more outside money comes in, spiking property values even further than originally anticipated. With these steady increases in home values, many homeowners are considering selling their properties for fast cash so they can make other moves in life such as buying another property or moving out of state. Quick closings. Whenever you list your home on the open marketplace with a licensed agent, there will be a considerable amount of waiting around while the realtor looks for the right buyer. When you choose to sell directly to a private cash buyer there is never any waiting around, and we are able to close extremely fast. No complicated contracts. Listing homes on the MLS with real estate agents is always a challenge because of the amount of paperwork that is involved. When you sell directly to a private home buyer for cash there are no complicated contracts, just a standard purchase and sale agreement with one simple number on it – the purchase price and closing date…that’s it. Streamlined process. Again, we try to make the entire home selling process as easy as humanly possible for our sellers because we know exactly what it’s like to have a home sit on the market and not sell while you are still responsible for paying the monthly expenses. We’ve seen it one too many times, which is why we have designed our home buying process specifically to deal with these types of complicated situations and scenarios. Flexible terms and conditions. Another major benefit of selling your property directly to a home buyer is that we offer much more flexible terms and conditions on the sale. For example, we can have the contract setup to where you can have tenants remain in the home even after the closing date has already taken place and the money has been exchanged, for a period up to 30 days past the closing date using what is commonly referred to as a “post-closing occupancy agreement”. If you are interested in considering the option of selling your home to a private cash buyer then please either give us a call or text right now at (786) 292-7144 or fill out the form at the bottom of this page and one of our customer service representatives will contact you within 24 – 48 hours to assist you. First, we will ask you a series of basic questions to accurately determine if your property and situation is a good fit for our program. Then we will run the repair budget and home values through our proprietary home buying formula to come up with our maximum allowable cash offer. We will then present this offer to you in written or verbal form and give you some time to think it over and discuss it with your family before finally making a decision. If you decide that you would like to move forward with selling your Jacksonville home privately to our home buying company then the next step will be to sign the appropriate contracts and forms and then sending those documents over to a local title company, who will then set the closing date and hold any earnest money deposit in a separate escrow account (if there is one on this specific transaction). Remember, there will not be any closing costs or realtor fees or commissions due by you on the final sale of the transaction. We cover 100% of the costs during each and every transaction that we participate in, so none of the burdens fall on our sellers. Please feel free to read our FAQ page to find out what other homeowners like you have asked us previously, as we have heard it all. Chances are that we have seen your exact situation and have purchased a property from a seller who was facing exactly what you are now facing. Our team has been through many different types of sticky situations that require persistence and know-how combined with tools, resources, and contacts within the real estate industry who can get stuff done within very strict time-frames. We know many local agents, cash buyers, title companies, attorney’s, and more, and we can get any deal closed in a very short time-frame without you having to invest any of your own cash up front to get the transaction started. We don’t shy away from any situation, and we are highly motivated to get you the results that you are looking for to get the deal closed in the proper time-frame that you need to move in. Remember, we are here to serve you. Our processes and programs are designed to put you in the driver’s seat and really allow you to control exactly where the deal goes, when it closes, and all of the other details that normally are given to the real estate agent. There are no agents involved, which means no listing fees and no commissions whatsoever. We are home buying experts who know how to close fast on any type of property in any condition in any county within this local marketplace. Feel free to reach out to us via call or text right now at (786) 292-7144 for a risk-free, no obligation, fair cash offer from one of our home buying representatives.